We had a question in from a client about the DX Number and why solicitors use the DX Delivery System. We thought we’d share it on our website as others might wonder the same thing. Document Exchange (DX) first began around 1975 when solicitors, barristers and the legal system began to rely on a delivery system that was fast, secure and reliable. Now, most solicitors and law practices have a DX number. It allows us to move paperwork quickly and securely. So for example, if you are buying a house, the signed contracts between buyer and seller will be moved in this way. They won’t get lost and they are totally secure. Deliveries arrive before 9am so us solicitors have important documents before the start of the day and they are picked up by 5pm. Other institutions such as financial institutions also use the DX Delivery System for peace of mind. That’s what we mean when we say ‘we’ll DX it tonight’. Our DX number for Ashbourne is 135001 and our DX number for Drogheda is 23009. If you have any other queries or legal concerns, talk to Tallans on 041 9838708 (Drogheda) or 01 835 2027 (Ashbourne). Previous PostAre you an Ostrich? We will never share your details. By submitting your details you consent to the use of your data in accordance with our Privacy Statement. Tallans Solicitors are the North-East’s largest law firm. With us, you’ll get jargon-free legal advice that you can depend on. Our solicitors are experts in their specific areas of practice, ensuring that you, our client, gets the best possible legal advice and personal attention. Established in 1899, trust Tallans to do the best for you, whatever legal issues you may face. 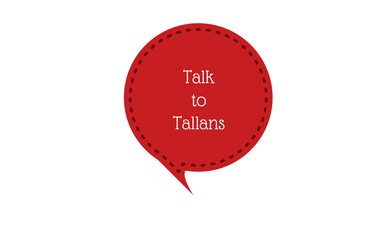 Talk to Tallans today. The Haymarket, Drogheda, Co. Louth. New Town Centre, Ashbourne, Co. Meath.